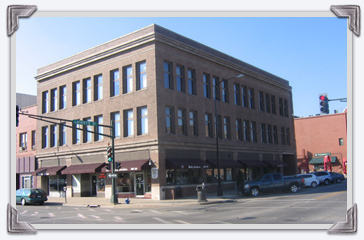 We have been part of the Waterloo community since our firm was founded in 1918 by William L. Beecher and E.H. McCoy. Since then, our firm has been proud to support causes and organizations that help make the Cedar Valley a better place to live, work and raise a family. Below, you can find a list of causes we’ve supported over the years. We love supporting our community, so if you have a cause that you think we would be able to help with, contact us to let us know. We’ve called downtown Waterloo home since 1960 when we moved into our current office on the second and third floors on the corner of Lafayette Street and 5th Street. If you’d like to learn more about our practice, please contact us. © 2019 Beecher, Field, Walker, Morris, Hoffman & Johnson, P.C. - All Rights Reserved. We respect your privacy. Web Solutions Provided by VGM Forbin. We Do Web Stuff.